It's been soup weather for the past couple of days. Just a few days ago we had unbelievable weather where you could have gone outdoors in just shorts and a tank top. Now the weather has changed where you have to be bundled up to go outdoors. Winter which doesn't officially begin until December 21st has officially arrived early here in Colorado. 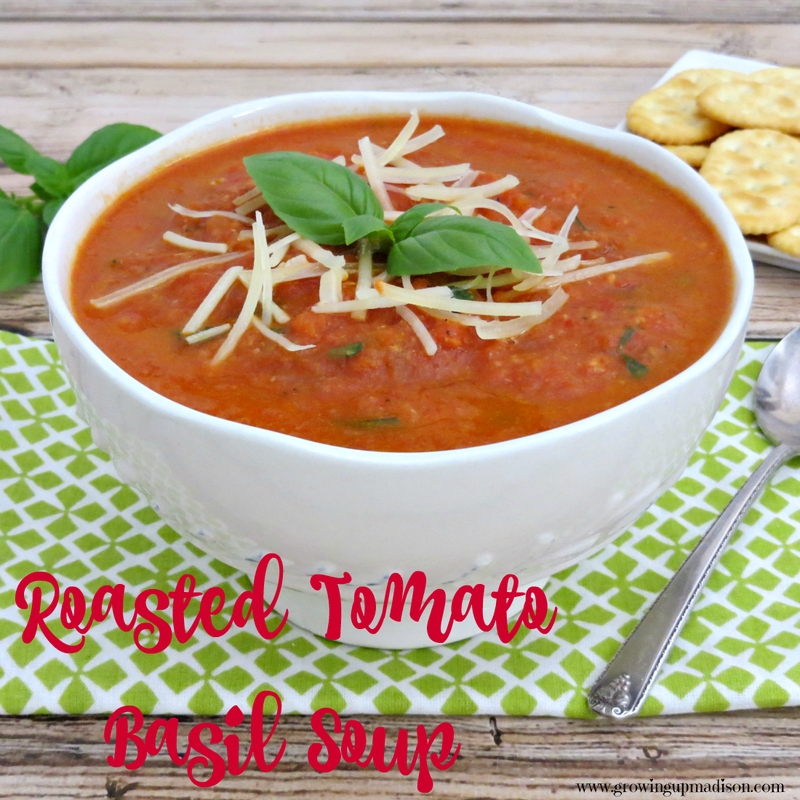 With the cold weather here soups are officially on the menu and today I want to share with you our Roasted Tomato Basil Soup. 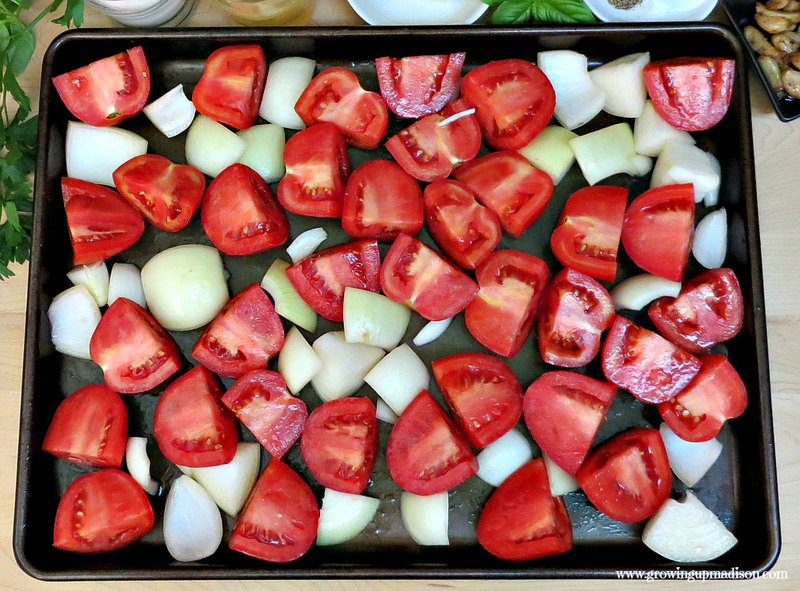 Slice the tomatoes into quarters and place them on a large baking sheet along with the onions. Drizzle the vegetables with the olive oil and toss to coat. Place the pan in the oven for 10 minutes, stir and cook 10 minutes longer. Continue to do cook in 10 minute increments, stirring in between, until the vegetables are nicely browned but not burnt. Too many black spots will yield a bitter soup, so try to avoid that. Remove the pan from the oven and allow to cool for ten minutes. Carefully transfer everything from the pan (including the juice) to a powerful blender. Pour one cup of the chicken broth in the blender. This helps to smooth the soup out but also cool it down. Blend until the consistency is how you want it. 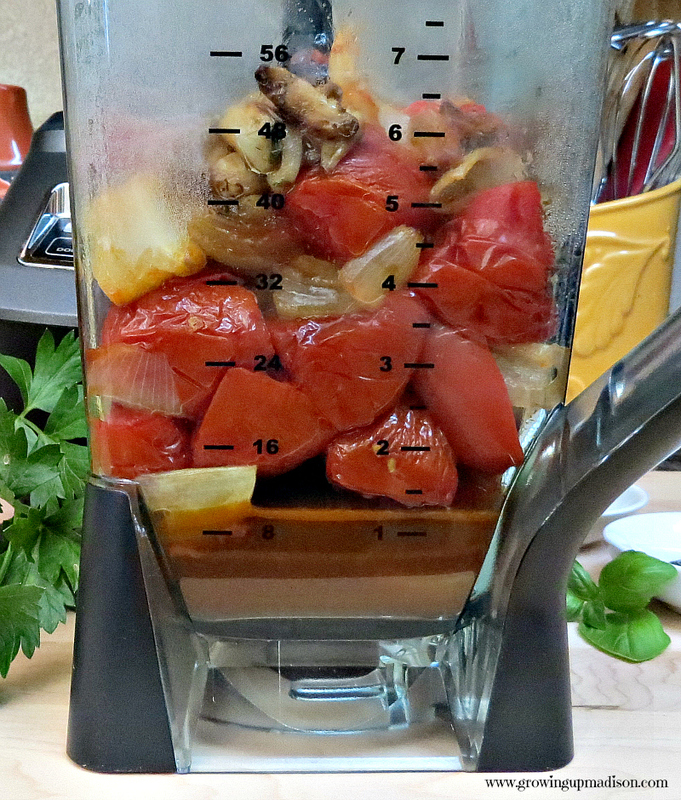 I like some small bits of veggie chunks in it but if you like a totally smooth soup, just keep blending. Pour the soup into a pot and bring to a simmer. 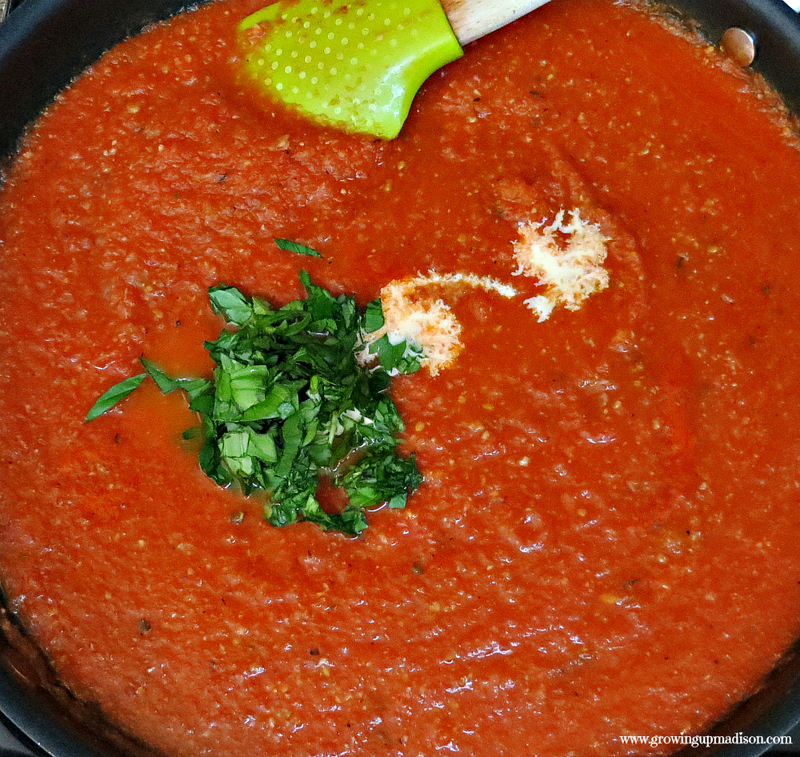 All tomatoes release different amounts of liquid so if your soup is too thick, add the remaining chicken broth. Add the dried herbs, turn down to low and cook for 15 minutes to allow the flavors to blend. Add the half and half, stir to combine and heat through for 2-3 minutes. Don't let this boil. 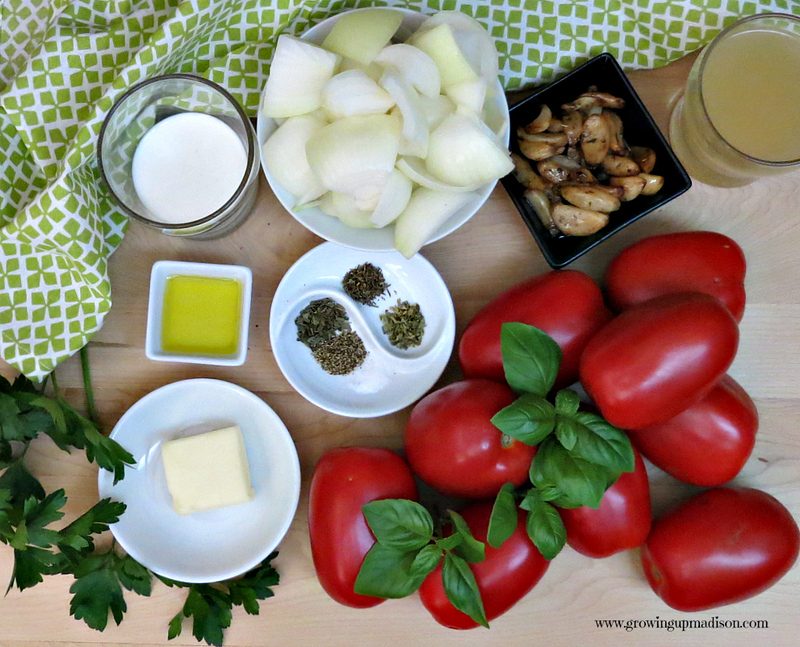 Remove from the heat and stir in the fresh Italian parsley and basil. 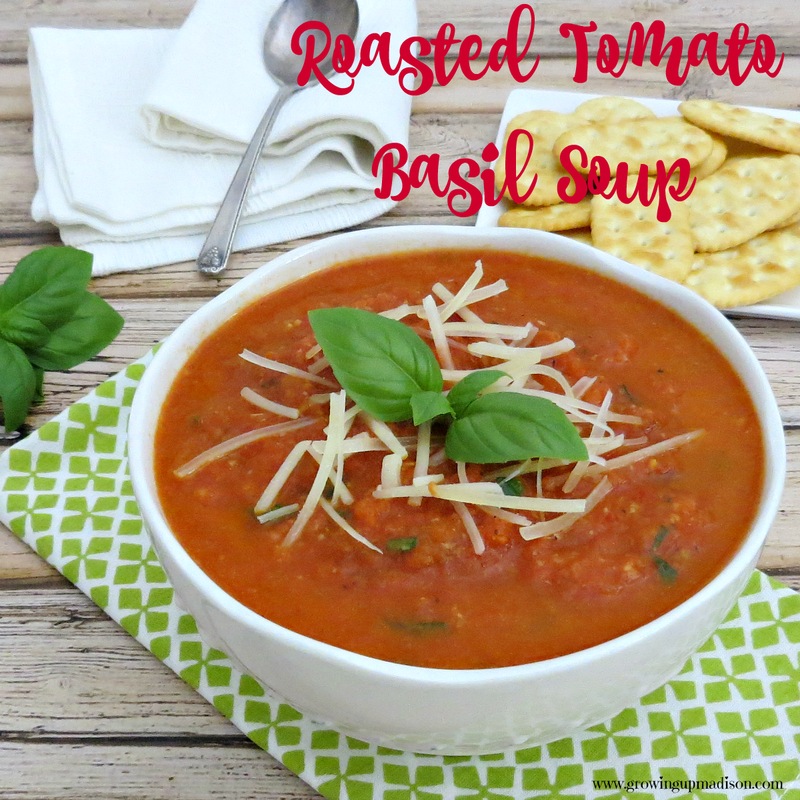 Serve with additional fresh basil on top, Parmesan cheese and toast! If you want this even creamier, feel free to add more half & half. Just keep in mind that the more liquid you add, you may need to adjust the seasonings. The chicken broth gives this a savory flavor that we love, but you can use vegetable broth to make this vegetarian. 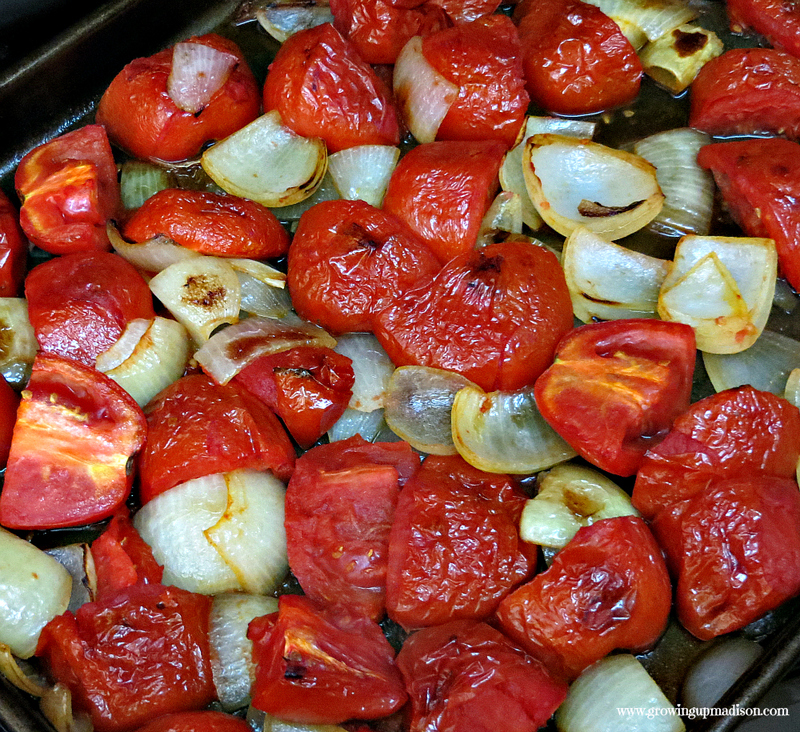 -- Add peeled garlic cloves to a roasting pan and toss with a little olive oil and salt. -- Bake for 10 minutes and stir. Continue to bake, stirring occasionally, until they are nicely browned all over. -- All them to cool and store in the refrigerator for up to a week. -- Roasted garlic is mellower and a little sweeter than fresh garlic. It is great spread on toasted bread or used in any recipe where raw garlic would be too strong. My mom always tells me that tomato soup was my favorite as a kid. I loved to dip grilled cheese in it! I should think I still would love that. And we had so much basil in our garden this summer. I wonder if Cassidy was able to keep any or if it was all frozen into pesto. This looks delicious. I'll have to have someone else do the first part and cut the tomatoes and put them in the oven because I can't touch raw tomatoes. For some reason they make me break out however I can touch them and eat them once they're cooked I don't know it's something weird. I'll have to try this one day. I love tomato soup with toast but I usually just get mine from a can. Will have to try and make my own. This looks delicious! Oh you need to stop eating it from a can and make your own. You'll never know what you're missing until you do. This looks and sounds delicious, I'm totally gonna try it. Mmmmmmm. I hope you're able to. You'll love it. 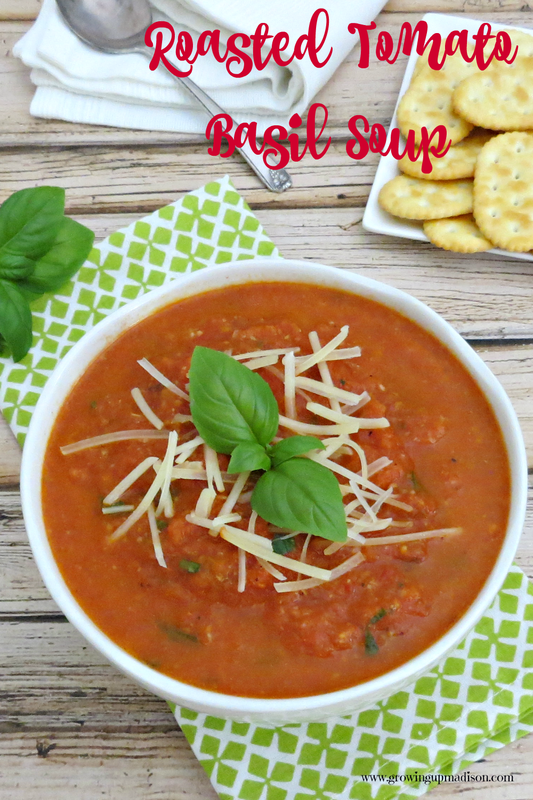 I usually buy tomato soup in the can but would love to make my own as well. This looks really yummy. Think I might be making this sometime soon. I hope you do because as I told Zara above, you never know what you're missing until you make your own.